Obesity rates have been consistently growing in this country. This is concerning for all sorts of health effects (including unfortunately Cancer). Many of us struggle with our weight and it is not easy to fight it especially given the processed foods and carbs all around us. 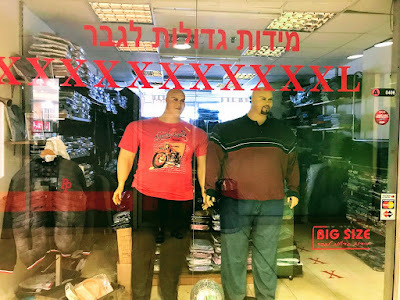 In this context, this store sign in Israel for big and tall clothing was off the charts. 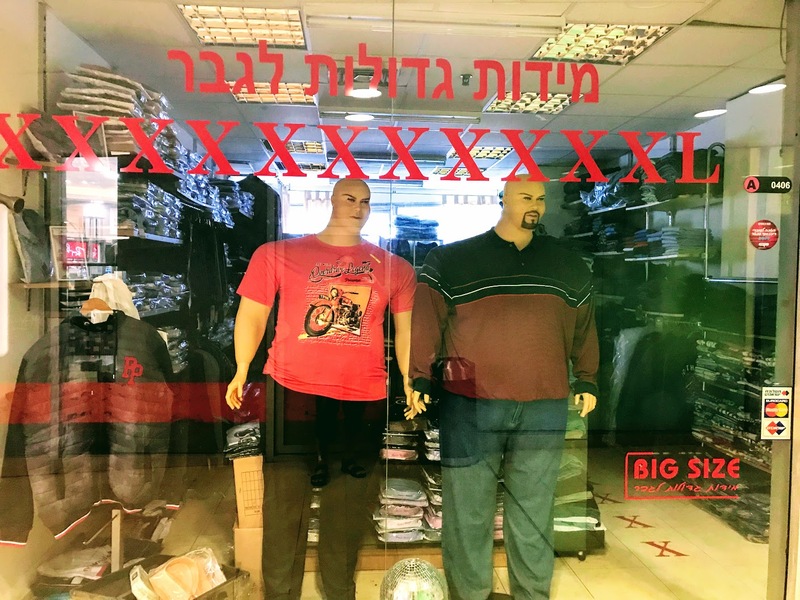 Check out how many "Xs" as in XL this store is advertising? A full 11 Xs (after that I lost count)! Hey, that is a large size for anyone. What does a size 11 XL look like. Someone mentioned that they went to the Cheesecake Factory the other day. They said they bought a slice of cheesecake. I asked: "Was it the Oreo Cheesecake?" But they went on, "It was too much for one person to eat." Check out how many calories are in one piece of this "Oreo Dream Extreme Cheesecake" -->>1,630! Yes, that's one slice, not the whole cake!!! And over 50% is from fat! Take all this in context: The calories for an average female and male is just 1,900 and 2,500, respectively, if your moderately active. So one slice of cheesecake like this Oreo flavor is around 86% or 65% of the total recommended calorie intake for a women or man for the entire day! What the heck do they put into this cheesecake--butter, cream cheese, sugar by the truckload! So I went to get my flu shot today in the office. Yes, it's that time of year to start getting ready for Winter and all the germs that come with it. Anyway, while I was at the health center, they had this model of what body fat looks like. 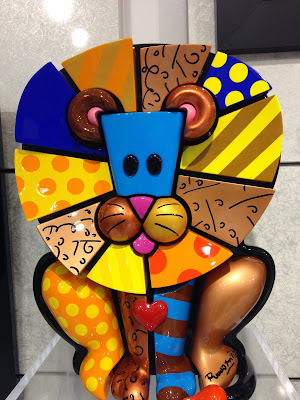 It was sort of just laying right on the table in the waiting room--yeah a big ick! "Globs of Fat: This glob represents the look and feel of 5 pounds of body fat." And this thing was enormous, bigger than someones hand, maybe even two hands. There was some text about another 1 pound piece of body fat, but I didn't see that lying around anywhere (and frankly the 5 pound glob was enough to get the point without comparison). This fat demonstration would make practically anyone want to chuck the carbohydrates and forever. Pizza, pasta, bread, rice, potatoes, cereal, crackers, cookies, cakes--be gone! Having recently done this myself, I can really appreciate how important this is and also how hard it can be. The food industry has us addicted to this crap and really it should be illegal. The high carb diet in America is truly of epidemic proportions and is potentially catastrophic to our health and longevity. The only thing that glob of fat is good for is tossing it out the window and into the garbage dump. Have You Ever Seen A Shark With Cancer? For a long time people have learned from the animal kingdom. We learn how to fly from birds, how to swim from fish, how to fight from lions and tigers, and so on. But an interesting article in the Wall Street Journal gave this new and expanded meaning to me. Researchers are now looking at animals to learn how to ward off some of the worst diseases known to man. For example, apparently Sharks do not get cancer, but more than that even when scientists spent 10 years trying to induce cancer in sharks, they couldn't! Shark have compounds that actually kill tumors--WOW!--If we could learn how to mimic that in humans, imagine the death and suffering that could be prevented, and the extension and perhaps quality of life that could be gained. Similarly, grizzly bears, which can weigh 1,000 pounds, and can eat 58,000 calories a day, put on 100 pounds or more in the weeks right before they hibernate for the winter, yet bears don't suffer from routine ailments of obesity, such as diabetes, heart attacks, and strokes. Not that any of us want to be 1,000 pounds, but imagine if heavy people did not get all sorts of diseases from clogged arteries and the like. 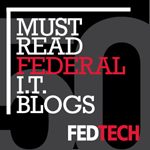 Forbes Magazine (7 September 2010) has an interesting look ahead at the world over the next ten years.